The following story was my assignment to complete my unit Writing Family History at University of Tasmania online studies summer school. He got only a whiff at first, just a hint of something familiar, yet different. As the ship steadily sailed on, drawing closer to her destination, the scent intensified. Reinier Scherius stood on the deck eager to catch a first glimpse of his new posting. He was now on his way to the island of Saparua, the most important spice island of the Moluccas Archipelago. Here, 33 years old, he would commence his term as Assistant Resident of Saparua and Haruku. The scent of cloves was riding on the air now and the outline of the island was growing on the horizon. Suddenly he was back at home in Amsterdam, in his mother’s kitchen, where she was preparing the evening meal. His favourite was Hache, a dish of bladesteak gently simmered over low heat and spiced with cloves and bay leaf, to make a rich tender stew. He could taste it even now. Memories of his own mother made him think of the two women in his life that were mother to his own children. How different they were. 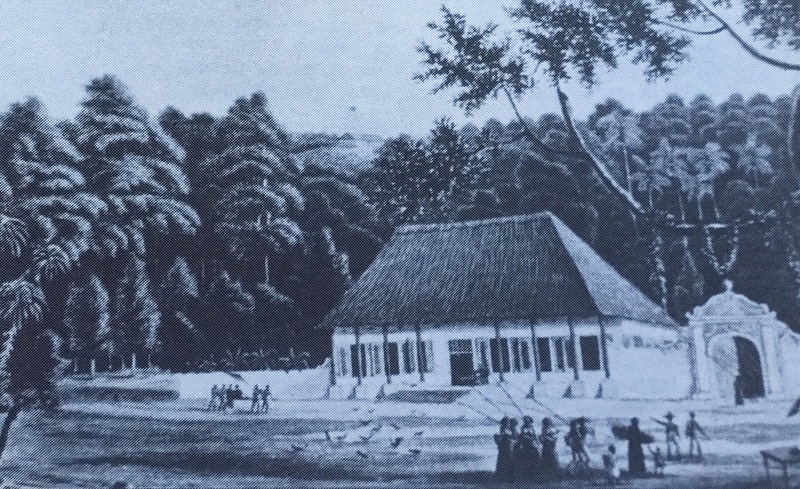 Tjiermoet came into his life when he lived in Gorontalo, located on the island Sulawesi, where he was appointed Civil Commander in 1837, at 27 years of age. She was a native woman, from the province, and became his housekeeper or “njai”. His first child, Mimi, was born in 1837 and then in 1839 Julie came along. Soon after Julie’s birth he had to leave to take up his appointment as Secretary, Magistrate and Warehouse Master at Ternate, one of the Eastern Moluccas islands. Marriage was out of the question. It wasn’t the done thing to marry a native woman. In Ternate he also had two children, Frank and Anna. Their mother was Anna Dorothee Pietersz. The story in the family was that she was a member of the local nobility. 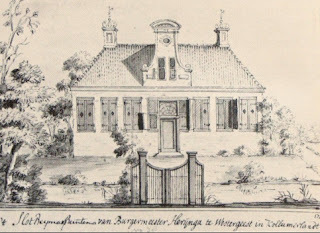 This was perhaps partly true in that her father was likely a Dutchman - Pietersz - and her mother a daughter of the Sultan with one of his many wives. As a granddaughter of the Sultan she would have been referred to as princess. And again, he had to leave them behind to take up his post in Saparua. But he also provided for them which was not easy on the limited salary of a unmarried man. They were coming closer now and he could make out the outline of the fort Duurstede that squatted high on the cliff. Those were troubled times then, but the Dutch had re-established order. The ship glided past the fishing villages perched high on their stilts above the water. He could see the native men building new huts, with nothing more than a parang, a machete, and marvelled at how fast and efficiently they worked. As the ship drew alongside the pier and moored, he espied the large official mansion for the resident amongst the tall fruit trees and palms. It had a steep high thatched roof and a central entrance and shuttered windows on either side that opened onto the verandah that went across the full width of the house. “Very suitable for a large family, but he was just a single man,” he thought. It would take Reinier another 12 years before he married. In 1855 he was appointed Resident of Probolingo, in East Java, and here he met his bride, eighteen year old Caroline Nagel. She came from a well established local Dutch family, albeit of mixed blood. They had 9 children! 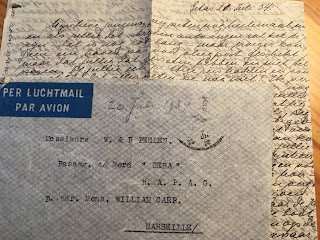 Their daughter Julia Wilhelmina was my great-grandmother. Painters & Food, The Dutch Table, gastronomy in the Golden Age of the Netherlands, Gillian Riley, 1994. Pomegranate Artbooks. Maritime Cookbook, dining with Piet Heyn, Jenny van der Lee. for reference to cloves and dutch cooking.